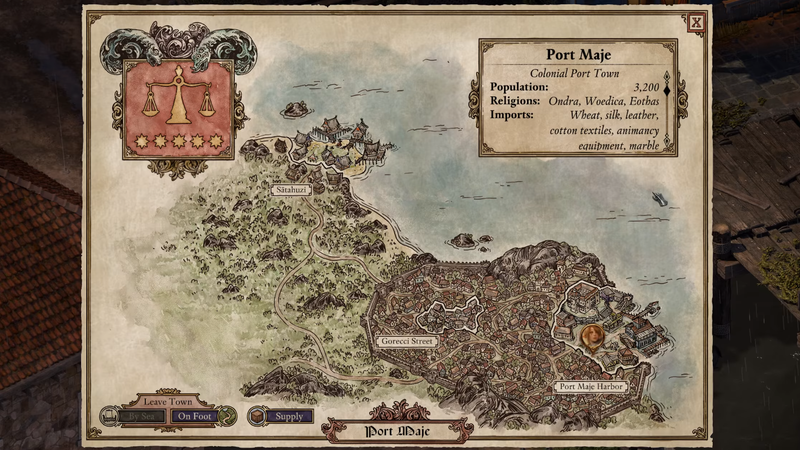 Pillars of Eternity 2: Deadfire is a big epic fantasy game about gods, pirates, boats, and ghosts, but what’s stuck with me post-game is how good the maps are. They’re really good, and the navigation is even better. Following the Baldur’s Gate franchise, the first Pillars of Eternity game has two “layers” to the world. The first is the area that you wander around and do your adventuring in, and the second is a regional map with lots of nodes that you could travel to in order to do that wandering, fighting, or whatever. It was a functional, old-school system that hearkened back to its roots, but it was nothing to write home about. Deadfire’s maps—done by Obsidian’s Matt Hansen and Kaz Aruga—are infinitely better and cooler than its predecessor. You move across them in real time, pick up items that have been abandoned, and can go to “minor” locations that trigger little skill checks and story events. They’re there to fill out the world and make it feel like you and your party are on a real adventure with all of the small, bump-in-the-road moments that a real party might experience. I mean, look at this traveling. The in-town maps are just a great. They’re much more in that Baldur’s Gate mode, but traveling between the locations have a sense of real-time movement, and you get to see your party weaving their way through the dense, sometimes confusing, urban environment. In the larger cities there are even interruptions and events that happen that travel, again grounding that realistic experience of being a powerful, nosy adventurer in a fantasy world. 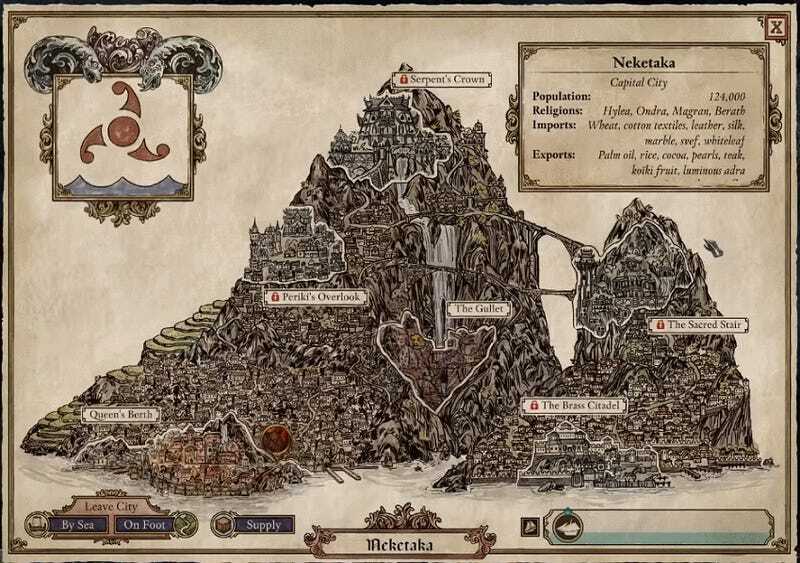 The maps of Deadfire are just wonderfully thought through and rendered, and that design is something that’s going to stick with me for a long time.